“Chappie” C+/B-. Critics pretty much got this one right. Didnt find anything about this film all that exciting. I kept thinking this is a South African version of “Robocop”. I would definitely like to see Bloomkamp delve out of the science fiction future thing but he is pretty much pegionholing himself as that type of director. I know this probably jumped a letter grade for you because it had the two guys from Die Antwoord in it, but nothing about their performances was overly great. Mediocre crime/sci fi film at best. While I can’t say I share the same opinion of it deserving of it being trashed by critics. As noted in my review it was something I watched out of my curiosity (not necessarily for my love) of it being a new Blomkamp film. Being in that I was such a big fan of “District 9” he’s a director that I made a vow to see any film he put out after it. But after the mildly disappointing “Elysium” and now this, which I enjoyed it more as a piece of sheer “entertainment/turn off the light switch” piece but recognized that it had its fair share of flaws. 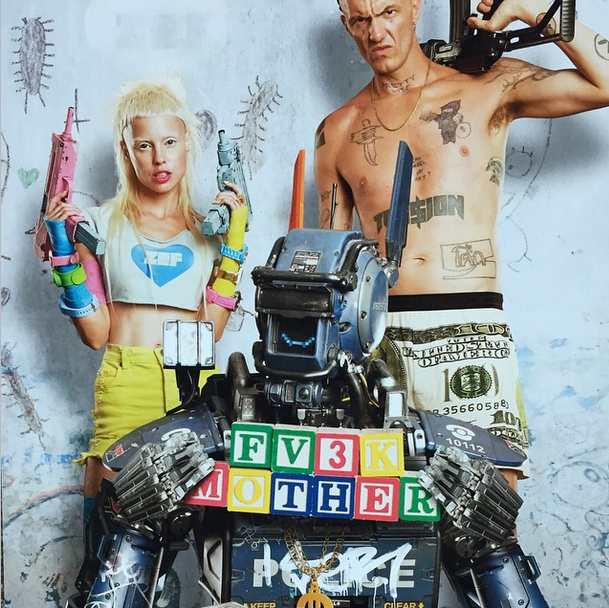 As for Die Antwoord I thought it was a unique collaboration (despite my being partial because of my fondness of their music) between Blomkamp and Yolandi and Ninja. I thought they both played their parts rather well given that they’re non-actors and a lot of their “aesthetic” was a big component of the film from their graffiti art to their songs in the background (they basically played fictionalized versions of themselves, but given the film’s context thought they fit in rather nicely). Mention should also be made of Hans Zimmer’s score, which found him delving into more electronic territory than his usual orchestral/string pieces. Lastly, the South African version of “Robocop” comparison didn’t cross my mind. But now think of it as great comparison in retrospect. Let’s hope that Blomkamp, like Villenueve, can breathe new life into his next project of rebooting the “Alien” franchise as Villenueve does with the new “Blade Runner”.